Microlight Cambodia offers you microlight flights in Cambodia with Microlight Aircraft pilot Eddie Smith who has 30 years experience and over 2,000 hours of flying time in Cambodia. 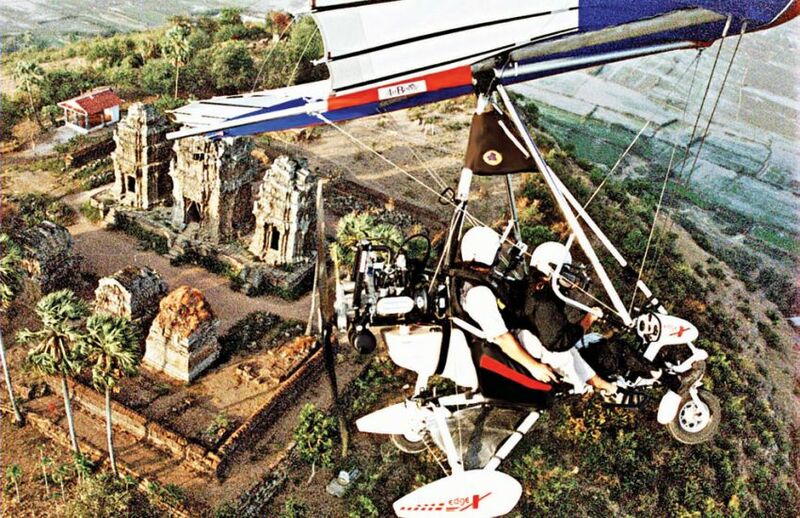 Eddie who first came to Cambodia 12 years ago started flying archaeologists, hydrologists and geologists studying the temples but now welcomes people from around the globe. Their smallest journey flies to the Rolous Group and circles around. 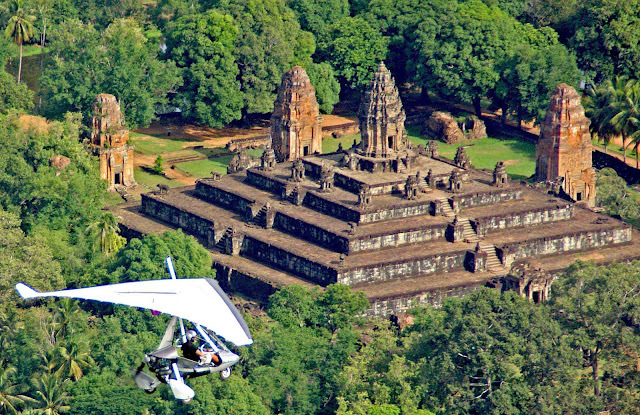 And the largest journey flies around several temples and a floating village. The aircraft flys about 100 – 110km an hour and is very quiet as it has a small enclosed motor. It also has a special propeller and two mufflers to quieten the engine.